If you’ve been looking for the best Infrastructure as a Service platform, the search ends here. Are You Looking For The Best Infrastructure As A Service Platform? Where productivity and efficiency are concerned, it’s all but impossible for a business to do without cloud technology in some capacity. 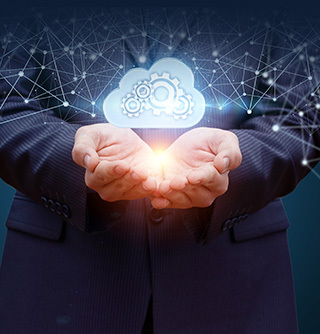 In fact, as more and more businesses move to a cloud platform and offload chunks of their operations to a hosted environment, it’s become harder to imagine any business trying to do without this technology in their corner. The agility that the cloud offers makes adapting to new demands and new processes easier and much more cost effective than it would be with a traditional onsite infrastructure. With technology firmly positioned as the foundation of today’s business operations, the need to make the most of your available technology budget is more critical than ever. Especially for smaller businesses, getting the absolute most out of your technology investment can be a key part of your business’ success. Many Utah businesses are already benefiting from an all-inclusive cloud platform designed to give them everything they could ever want or need out of an Infrastructure as a Service platform. Infinicloud was built to give business owners complete control over their IT environment while still providing access to expert IT support. Tailored to suit the specific needs of your unique business, Infinicloud gives you everything you need to run your business in one convenient and affordable package. Unlike cloud-based solutions offered as part of a Managed Services package, Infinicloud doesn’t require your business to rely entirely on outside support to get full use of the tools and services you’re paying for. Military-grade cybersecurity measures and around the clock industry-leading emergency tech support are the cornerstone of Infinicloud, ensuring that the freedom to manage your business technology your way won’t require you to give up essential services. Our policy of only hiring experienced technicians is just a small part of what makes this Infrastructure as a Service different from anything else on the market today. We’ve found that “green” technology and cost savings go hand in hand. The more of your infrastructure you’re able to move off-premise, the less upfront capital is needed to get upgrades or improvements to your infrastructure up and running. More importantly, by moving your mission-critical data and applications to a cloud-based platform and away from onsite servers, you’ll no longer be footing the bill for the electricity needed to keep those servers and their battery backups running continuously. One of the perks of Infrastructure as a Service is the ability to pass much of the costs associated with maintaining that infrastructure to the provider, leaving your business free to invest those savings elsewhere. Going green is a great reason to seriously consider Infrastructure as a Service for your Utah business, particularly when you consider the other energy and cost-saving options available to your business with Infinicloud. Low-power “Thin Clients” offer a smaller, less pricey, and less power-hungry alternative to traditional desktop computers, and are a great complement to an Infrastructure as a Service solution that takes the bulk of your data storage and management needs out of the office. Not only are you overhauling your operations to make your staff more productive and your business more profitable, but you’re doing your part to cut back on the negative environmental consequences of high volume energy consumption. Plus, emptying out a no longer necessary server room leaves you with space to get creative, and make the most of your allotted real estate. Choosing Infrastructure as a Service for your business has great advantages to offer your business in both the short-term and long-term. In the short-term, you’re giving your employees the tools they need to work efficiently and offer better service to your customers. 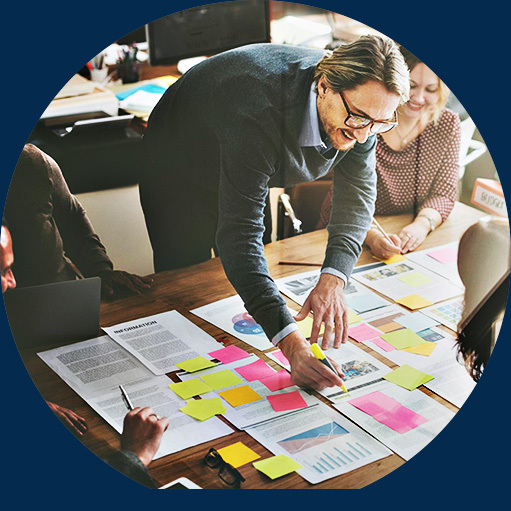 As your team becomes more comfortable with the accessibility and flexibility the cloud provides, you’ll find there are a growing number of options available to streamline business processes and eliminate repetitive and time-consuming tasks. As your business continues to grow, the cloud will easily grow with you. Scalability is one of the biggest selling points for Infrastructure as a Service, as its potential to adapt and expand as needed is a fantastic asset for any business. You would be hard pressed to find any other technology that’s as universally well-suited as Infrastructure as a Service, making it not just a smart technology investment, but a smart investment in the future success of your business. There is virtually no limit to what the cloud can do, especially when you’ve positioned yourself to take full advantage of everything this solution has to potentially offer. In short, there are many, many great reasons for your business to stop looking for the best Infrastructure as a Service platform and go ahead and start using it. Infinicloud is exactly the solution you’ve been searching for. Ready to put Infinicloud to work for your business? Contact Nexus IT Consultants at info@infinicloud.cloud or (855) 233-0556 today to schedule your FREE evaluation.